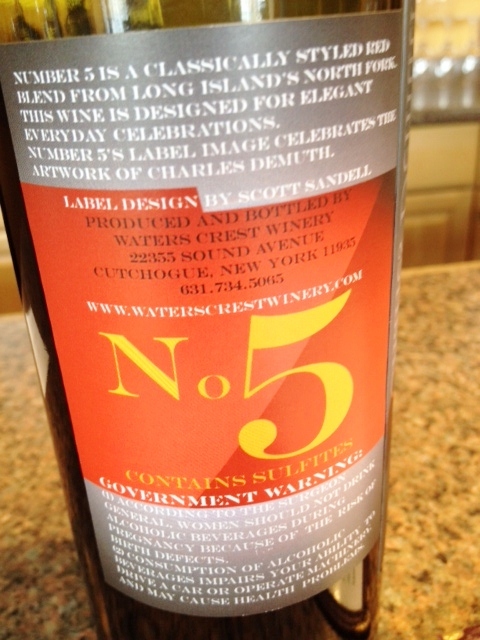 Waters Crest has probably the worst-located winery on the North Fork, in a strip mall around the corner from the Southold town dump, which is too bad, because their wines are generally quite good. 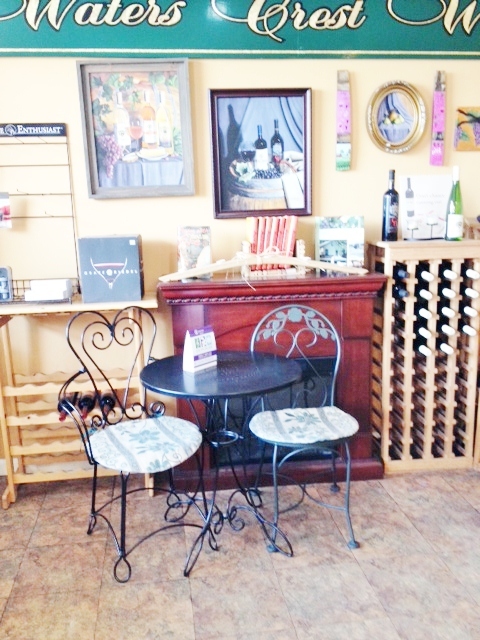 The tasting room is small but pleasant, with a selection of gift items including some cute t-shirts and a cheese tray for $9.99. 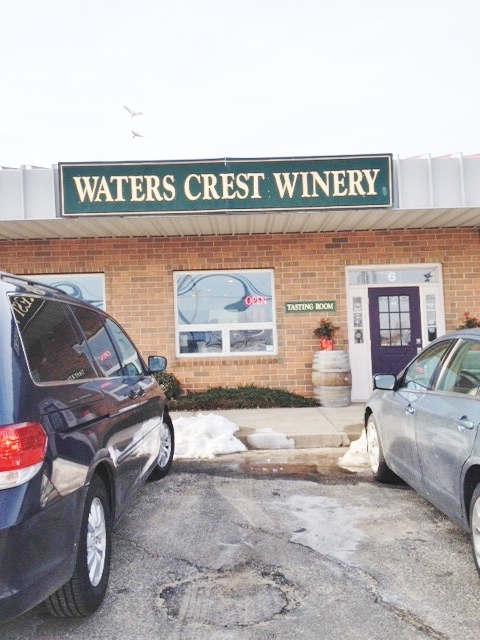 Jim Waters makes all his own wines, but buys his grapes from local growers, not having his own vineyard. He started as a home winemaker, and, as we’ve learned from talking to other winemakers, that’s often the first step to becoming a professional wine-maker. (The server, Jenny, also tells another couple how Jim was a volunteer at Ground Zero, and after that decided to follow his dream.) We bonded with Jim and his wife on our first visit, when we discovered they had looked at and contemplated buying the house we eventually bought in Mattituck! The tasting menu now includes all seven of their wines, for $15, or you can buy individual tastes of whites for $2 each or reds for $3 each. 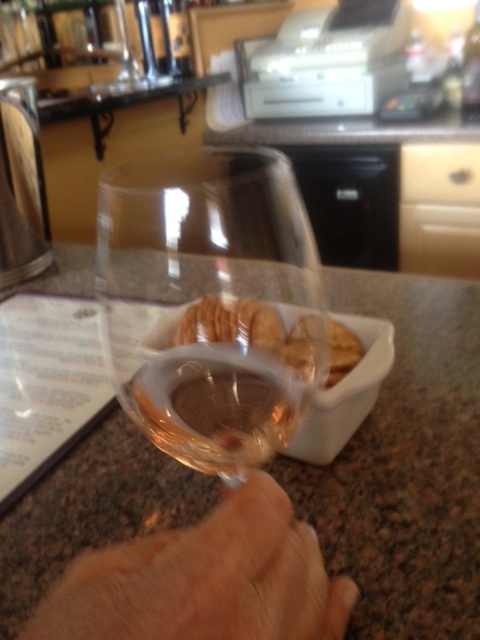 We opt to share one tasting. This is a simple and refreshing rose, with a fresh strawberry aroma and taste, fairly tart. Although it is steel fermented, it has some interesting notes of vanilla and caramel which makes us wonder if it spent any time in oak, though Jenny says no. It has a pleasantly lemony finish. Delicious. A somewhat smoky, mineral aroma makes us wonder how this will taste, but the wine has a nice balance of fruit and is not too oaky. 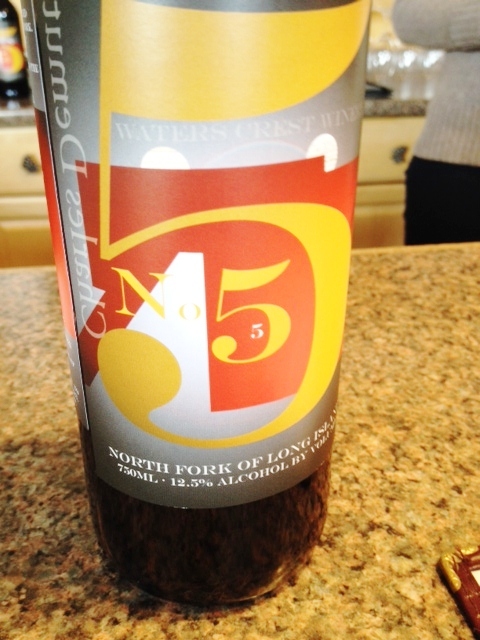 Jenny says it spent 10 months in new French oak barrels. We get new glasses for the reds, always a nice touch. This is a lovely soft Merlot, with a berry aroma and dark plum flavor, without too much of the North Fork dirt flavor. Not much in the way of tannins. Two sisters–named for the Waters’ daughters Michelle and Lauren–combines two wines, Merlot and Cabernet Franc to good effect, with lots of yummy pepper and fruit flavors including cherry. Mild and mellow, this is dry despite the good fruit flavors. This is a right bank Bordeaux blend of Merlot, Cabernet Franc, Cabernet Sauvignon, and Petit Verdot. The aroma is somewhat funky and off-putting (earthworm?) though the taste is better than the aroma. However, it is not our favorite of the wines. Though the aroma of this is also somewhat earthy, the flavor is excellent, lots of ripe fruit with some mineral on the finish. We buy a bottle! 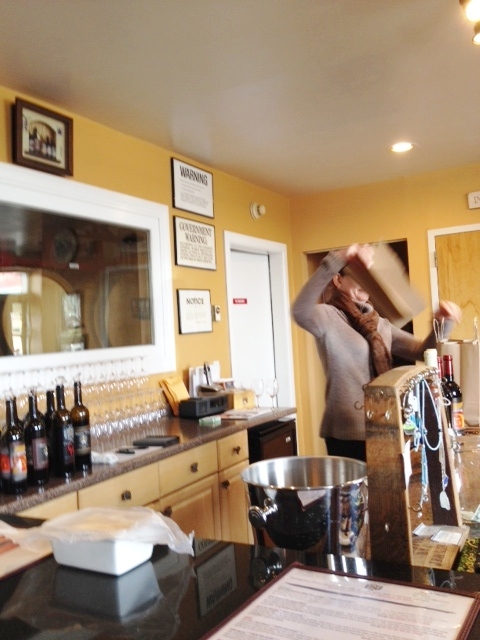 Reasons to visit: some nice wines, especially the 07 Cab Franc Grand Vin and 10 Reserve Chard; intimate setting, with the frequent chance to chat with the owner.